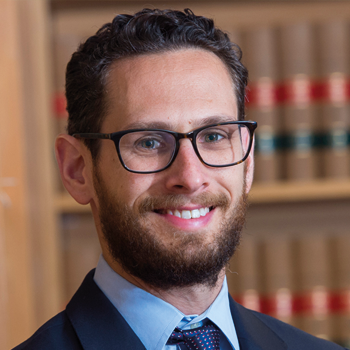 In a paper published by the Virginia Journal of Criminal Law, Dr. Alexander Sarch of the Surrey Centre for Law and Philosophy and coauthor Daniel Wodak argue for strategies to help judges resolve conflicts between their morals and the letter of the law. The paper uses mandatory minimum sentences as a case study of one key context where judicial dilemmas often occur. The authors cite the example of United States v Angelos, where a 22-year-old man with no prior criminal record was convicted of selling $350 worth of marijuana and possessing a firearm. Weldon Angelos was ultimately sentenced to 55 years in prison, the lowest sentence the applicable law would allow. Judge Paul Cassell described his own sentencing of Weldon Angelos as “unjust, cruel, and even irrational,” later calling the case “one of the most troubling that I ever faced in my five years on the federal bench,” and noting that it was one of the reasons he decided to step down as a judge. In cases where the judge faces a stark conflict between the law’s requirements and the principles of morality, the authors argue that judges should consider all the options at their disposal to satisfy both their legal and moral demands. Judges typically have many ways to comply with both the law and morality—for example by calling for the reform of unjust laws in their opinions, or seeking cooperation from prosecutors or other judicial actors to find legally permissible ways to impose a more morally appropriate sentence. The article concludes that ‘rather than making legal sacrifices to attain moral perfection or making moral sacrifices to attain perfection in the eyes of the law, (…) judges facing judicial dilemmas should chart a middle course: Seek out options that are at least sufficiently good by the lights of both morality and law. Perfection is the enemy of the good, as the old saying goes.’ The authors maintain that the same is true for sentencing judges.